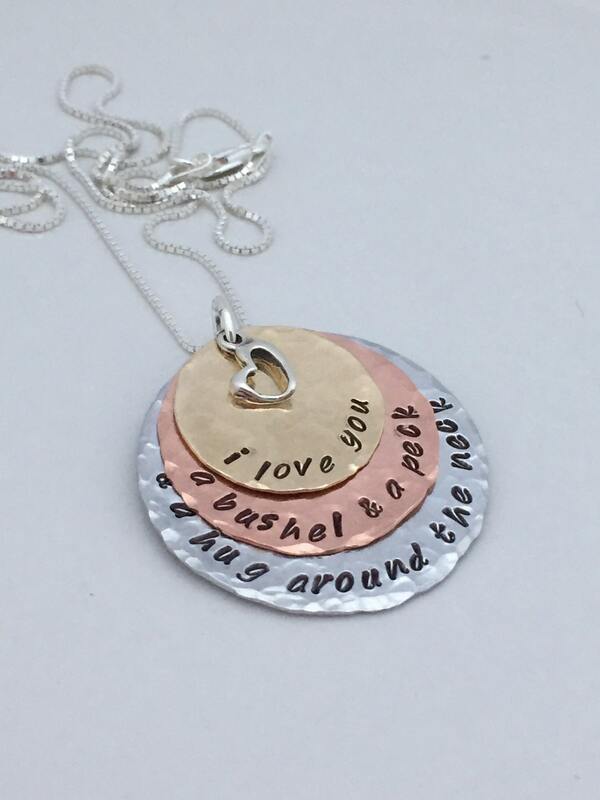 This mixed metal pendant measures 1-1/4" in diameter on the largest disc. 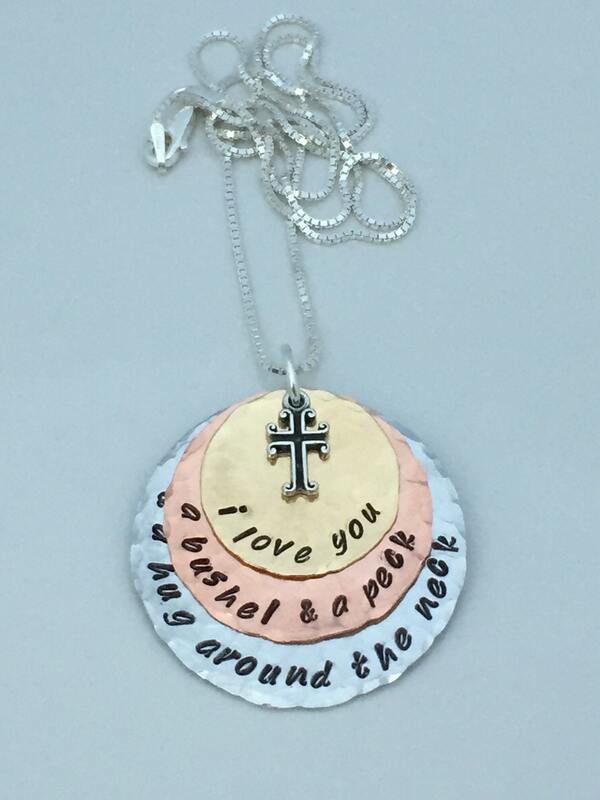 Each disc is hand hammered and then hand stamped with "I love you a bushel & a peck & a hug around the neck". 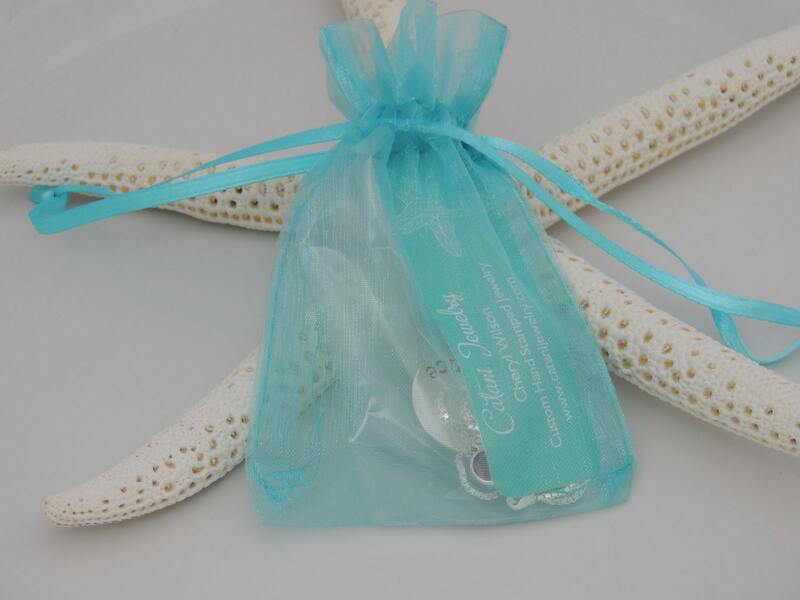 A beautiful sterling silver box chain is included. 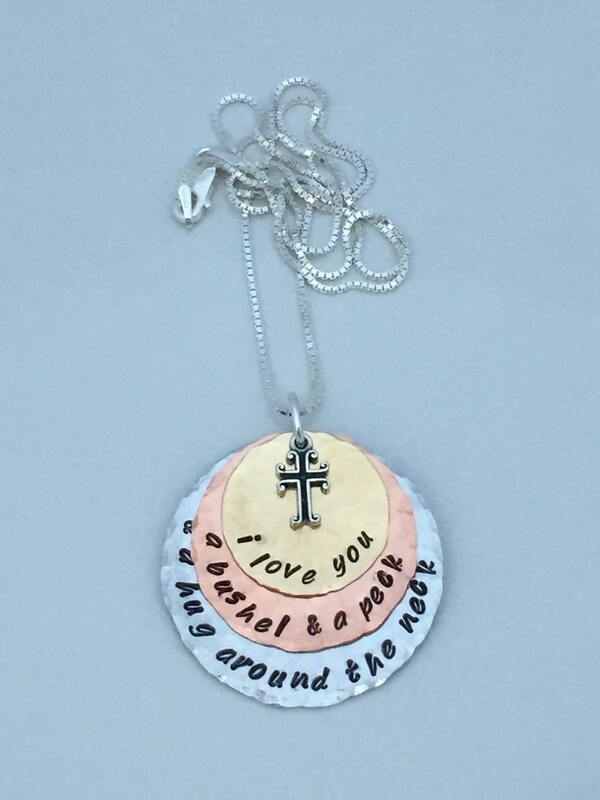 This necklace is made from the following materials. Please choose your charm at checkout. I got this as a gift for my aunt. We lost my cousin two years ago and he used to always say "I love you a bushel and a peck and a hug around the neck" ever since he could talk. This necklace was made perfectly with a great chain. My aunt wears it everyday now. It also came in cute packaging with a cleaning thing for it. I would recommend buying from here to anyone.